CAG COOLING SOLUTIONS now provides spot cooling and room cooling for areas where cooling of a large area is not practical like factories, and large open areas etc. It is more economical to provide direct cool air onto people or material instead of cooling a large area with a central A/C system. These units also have a room cooling function for closed areas to control the temperature of a room or specific area. 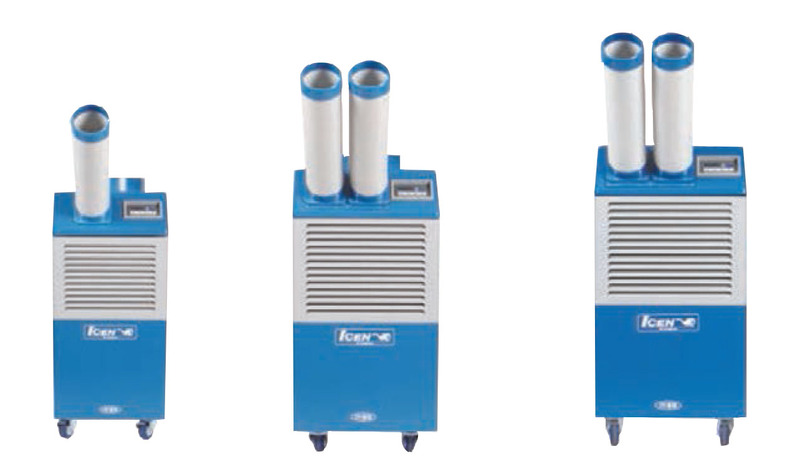 They are available in air-cooled, water-cooled and heat pump versions with sizes ranging from 1 to 5 ton.